'Careless Whisper' Persona A 'Case Study'? Home / news / trending topic / 'Careless Whisper' Persona A 'Case Study'? The so-called "Careless Whisper" persona known to many Filipino netizens in Saudi as "Pretty Charmz" and "Charmine Chou" is only a "case study." 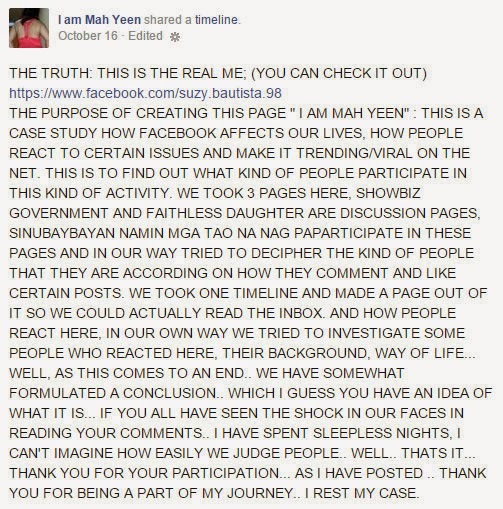 That's the claim of a Facebook community page called "I am Mah Yeen" where photos and videos of the infamous female Overseas Filipino Worker (OFW) in Riyadh, who is allegedly wanted in the Kingdom for breaking the Sharia Law, can be found. 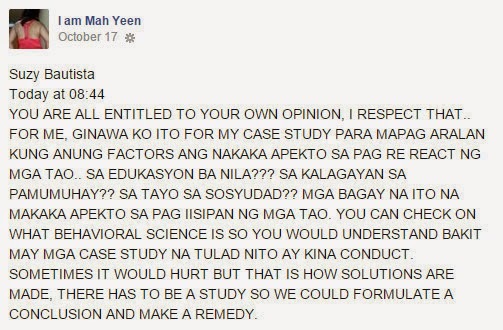 The case study referred to by the page admin is somehow similar to the "social experiment" conducted occasionally by Philippine broadcaster GMA-7's wish-granting show Wish Ko Lang. The difference is that the Kapuso program sets a limitation of sort so that the "social experiment" won't greatly affect a particular sector of society. 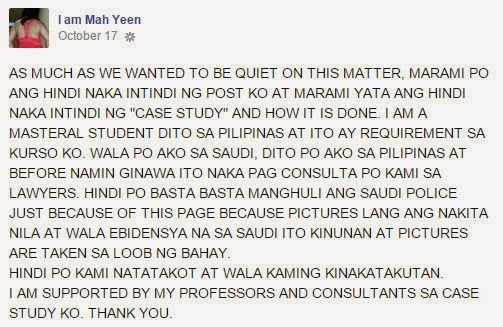 "Charmine"'s case sparked on online uproar and has affected OFWs in Saudi. 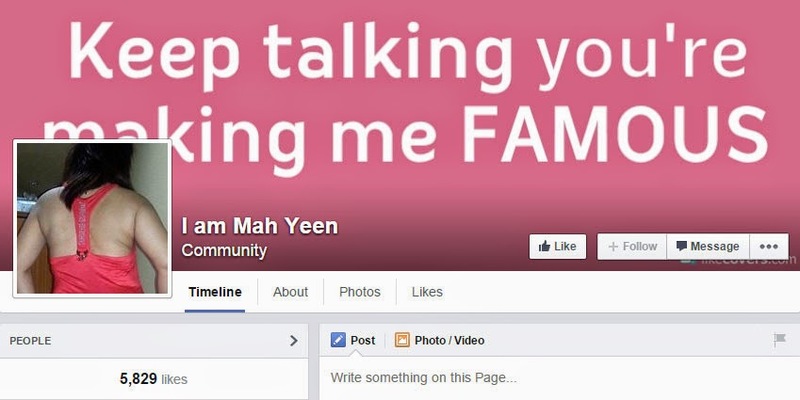 Do you believe that the 'Careless Whisper' persona on Facebook is just a case study?